Is Phoenicia One of the Coolest Small Towns in America? We think so! 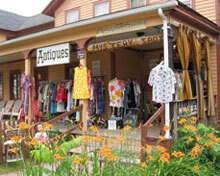 And so does Budget Travel Magazine, as we’re on their short list of America’s Coolest Small Towns. Check out the extra-cool shout-out to the Mystery Spot, and then go to this link and vote for us! 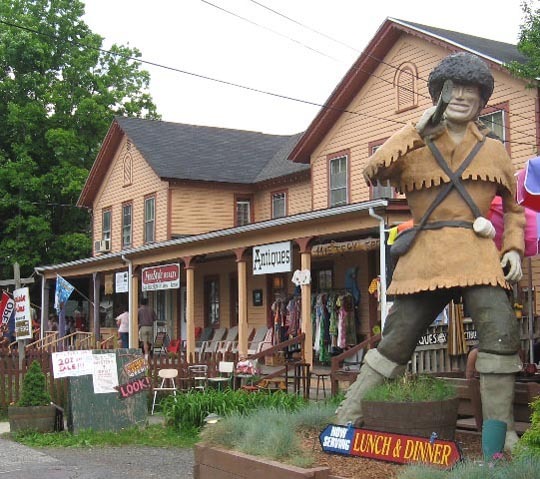 Two and a half hours north of New York City, this tiny town in the Catskill Mountains is a smaller version of nearby Woodstock: quiet and rural, with a hippie vibe and an artsy edge. Phoenicia’s main drag is humbled by panoramic views of the magnificent 286,000-acre Catskill Forest Preserve, but surprisingly trendy stores line the street, like Mystery Spot Antiques—packed with vintage clothing, out-of-print books, and quirky housewares—and the Arts Upstairs, a seven-room gallery of original works, often by local artists. Thanks to a wealth of ex-Manhattanites who settled here a decade ago, Phoenicia has plenty of quality restaurants. Sweet Sue’s may look like a regular diner, but the line of locals out the door should tip you off: The brunch menu includes renowned home fries and 25 types of pancakes, like pumpkin, mixed berry, and even carrot. Our customers often whip out their cameras (still and video) and start shooting the moment they enter our doors. Yup, the Mystery Spot is that photogenic! But we don’t usually pay it much mind. Imagine our surprise and delight when this fun and energetic video popped up online. This is one of many wonderful Pocket Memories video mash-ups created by Andrew DeVigal. Enjoy! 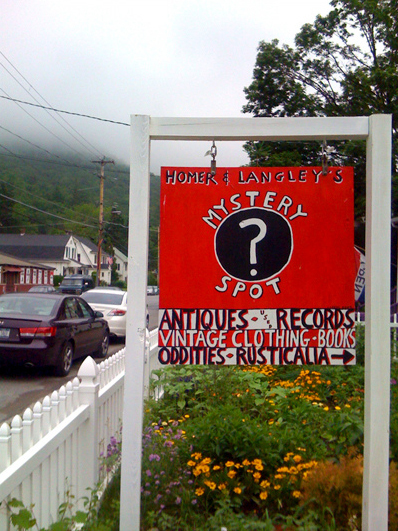 Mystery Spot & Phoenicia, NY from Andrew DeVigal on Vimeo. Photo of the Mystery Spot sign from Field Guide 25/Darbie. 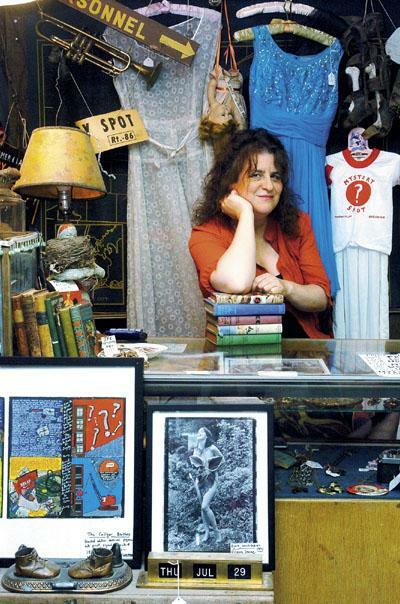 Scoping online, we found a fun tour of Phoenicia and mini-review of the Mystery Spot on Field Guide 35:One of my ALL TIME FAVORITE vintage stores. This place is jam packed with all kinds of gems. Clothes, records, books, housewares, collectibles, oddities(? )….pretty much anything and everything you’ve ever wanted. 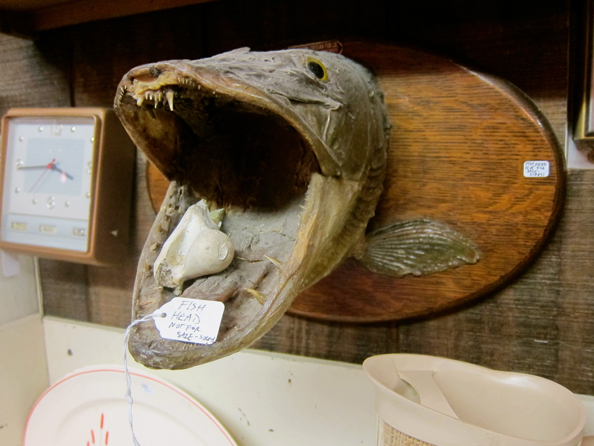 It’s all curated by proprietress Laura Levine who clearly has an eye for the amazing…and the…umm…unusual. But no description of mine is going to do this place justice. You have to go see it for yourself. And while you’re there give my regards to Petey the Piranha. - Field Guide 35.